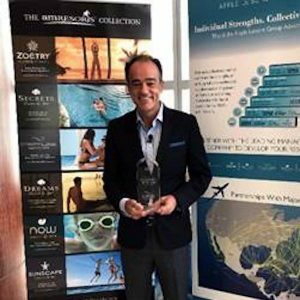 Apple Leisure Group (ALG) today announced Breathless Montego Bay Resort & Spa was honored with the Development of the Year Award at The Caribbean Hotel & Resort Investment Summit (CHRIS). The awards ceremony took place at the conference held at the JW Marriott Marquis Miami on May 18, 2018. The award recognizes a newly built, redeveloped, or repositioned hotel or resort that opened in the Caribbean region between January 1, 2017 and December 31, 2017. AMResorts, one of the companies of Apple Leisure Group (ALG), opened its doors to the highly-anticipated Breathless Montego Bay Resort & Spa, the brand’s first resort in the destination, in February 2017. The modern 5-story adults-only resort is surrounded by Montego Bay’s Marine Park and boasts a chic design with state-of-the-art technology in each of its 150 suites by providing in-room tablets and free Wi-Fi. Some of the resort’s highlights include seven specialty dining experiences, five trendsetting bars and lounges, 24-hour room service, fire pits, tailored butler service in over half the suites, and the only rooftop pool and bar in Jamaica, which offers a spectacular 360-degree view of the ocean, bay & mountains. Also included in the Breathless lifestyle experience is full access to all amenities and facilities at the nearby Secrets Wild Orchid Montego Bay and Secrets St. James Montego Bay. The Caribbean Hotel & Resort Investment Summit (CHRIS) has over a decade of experience in bringing the hotel and tourism investment communities together in the Caribbean and is known as the Caribbean’s most noteworthy hotel investment conference. The conference immediately followed the Hotel Opportunities Latin America (HOLA) conference. The back-to-back nature of the two events provided a venue for those in the hotel investment community interested not only in the Caribbean, but also in Latin America, to conduct their business while in Miami. CHRIS and HOLA are produced by the Northstar Travel Group, in association with Burba Hotel Network (BHN). Apple Leisure Group® (ALG) is the leading North American travel, hospitality and leisure management group with the only vertically-integrated business model, serving travelers and destinations worldwide. ALG consistently delivers exceptional value to travelers and strong performance to resort owners and partners by strategically leveraging the power of its portfolio of businesses across five segments, comprising: the largest seller of vacation packages in the U.S. for travel to Mexico and the Caribbean, moving approximately 3.4 million passengers annually through the well-established vacation brands Apple Vacations ®, Mark International®, Travel Impressions®, CheapCaribbean.com®,, Blue Sky Tours®, Southwest Vacations, Funjet Vacations®, and United Vacations; brand management of 5-star and 4-star luxury resorts through AMResorts®award-winning brand portfolio including Zoëtry® Wellness & Spas Resorts, Secrets® Resorts & Spas, Breathless Resorts & Spas®, Dreams® Resorts & Spas, Now Resorts & Spas®, and Sunscape® Resorts & Spas; best-in-class destination management services provided by Amstar DMC and Worldstar®, the exclusive travel club Unlimited Vacation Club®; and the innovative technology solutions provider Trisept Solutions®, connecting over 88,000 travel agents with leading travel suppliers. To learn more about the Apple Leisure Group advantage, visit appleleisuregroup.com. AMResorts collectively provides sales, marketing and brand management services to six individually unique resort brands including Zoëtry Wellness & Spa Resorts, Secrets, Breathless, Dreams, Now and Sunscape Resorts & Spas. 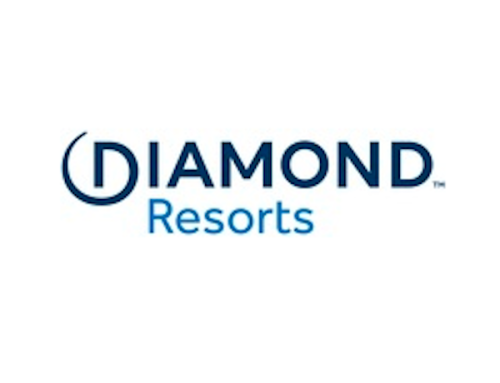 The Newtown Square-based company is continuously raising the all-inclusive concept to a new level of luxury with its signature Endless Privileges®, Unlimited-Luxury® and Unlimited-Fun® programs. Located throughout Mexico, Jamaica, Curacao, Dominican Republic, Costa Rica, and Panama, AMResorts’ more than 52 award-winning properties treat every guest to premium accommodations, desirable locations and extraordinary inclusions. The brands in the collection include: boutique Zoëtry® Wellness & Spa Resorts (zoetryresorts.com; 1-888-4-ZOËTRY); adults-only Secrets® Resorts & Spas (secretsresorts.com; 1-866-GO SECRETS); high-energy Breathless® Resorts & Spas (breathlessresorts.com; 1-855-65-BREATHE); family-friendly Dreams® Resorts & Spas (www.dreamsresorts.com; 1-866-2-DREAMS); vibrant Now® Resorts & Spas (nowresorts.com; 1-877-NOW-9953) and fun-filled Sunscape® Resorts & Spas (sunscaperesorts.com; 1-866-SUNSCAPE). Images, logos and informational material about the AMResorts Collection of brands and properties are available at amresorts.com/mediasite/media.